(Elizabethtown, Ky. January 17, 2017) The Historic State Theater is proud to announce a spring concert featuring Wynonna Judd and her new band, The Big Noise, on March 10. 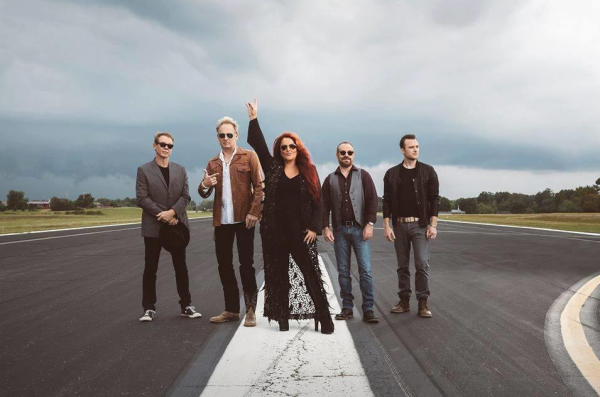 “We are so excited to have Grammy winner Wynonna here in Elizabethtown at the Historic State Theater,” said Zach Humphrey, Historic State Theater Executive Director. “Being a Kentucky Native, I am certain we will make her feel right at home. Wynonna and the Big Noise will be one of many great shows we plan to have here in 2017." Tickets are scheduled to go on sale online Friday, January 20 at 8 a.m. Preferred seating will cost $65, reserved floor seats $45, and balcony seats $25 each. To purchase tickets, go to historicstatetheater.org or visit during business hours at 209 West Dixie Avenue, Elizabethtown. Doors open at 6 p.m., concert begins at 7 p.m.